Optimal Preformance Consultants Inc. (OPC) helps businesses across North America understand and meet accessibility regulations. We offer education and training to help prepare your employees for an accessible work environment and for better customer service. We also specialize in auditing public access areas, customer service areas and built environments. OPC’s expertise extends to accessibility policy writing and review of company procedures. We help your business put accessibility regulations into practice. Raising awareness and meeting accessibility regulations is only the beginning – we encourage companies to go beyond mere compliance. We will help you see the size, wealth and diversity of the marketplace and workforce available to your business through better accessibility practices. Learn about OPC’s accessibility services. 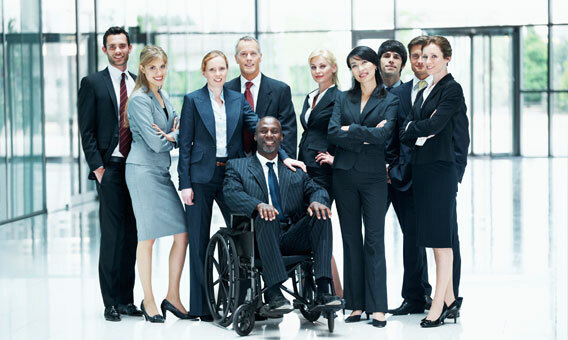 We will help you implement best practices and train your employees to meet AODA standards. Start preparing your business for a barrier-free workplace. Contact us to arrange for an accessibility audit or to discuss customized educational sessions and e-learning tools specific to you type of business. Introduced in 1990, the Americans with Disabilities Act (ADA) prohibits discrimination against people with disabilities. The law ensures that people with disabilities have equal rights and opportunities in all aspects of public life including all areas open to the public. These areas include workplaces, schools and transportation. OPC works with your business to incorporate ADA regulations, making sure your company meets standards and avoids costly penalties or fines. We offer customized training sessions to educate your employees and we conduct expert audits of your current work environment. Find out more about our accessibility services. OPC will not only make sure your business is following the Code, we will help you take it one step further, aiming to become an accessible and inclusive company. Your brand image and customer loyalty will expand and grow. Your business will become an industry leader, demonstrating to others how to become a completely inclusive business. Contact OPC for more information about meeting OHRC standards. Learn more about OPC’s accessibility expertise. Find out what your organization needs to do to meet accessibility regulations. Optimal Performance Consultants. Optimal Performance Management. All rights reserved.